Legislator Sergio Gálvez, who notoriously proclaimed that “He who doesn’t give doesn’t go,” distributing gifts to voters at public expense. He now faces proceedings in the Supreme Court for an alleged role in overpriced food purchases with kickbacks, a part of his and Ricardo Martinelli’s strategy of buying the 2014 elections using public funds. Photo by the Asamblea Nacional. How can we say that the campaign that Ricardo Martinelli and his followers waged in 2014 was “flagrantly illegal?” Isn’t there much to be determined? Isn’t there a presumption of innocence? Yes, we have heard all that, incessantly, from the former president’s phalanxes of lawyers, even if mostly what they argue is that as a specially privileged person Martinelli himself is not accountable before the law. Now his erstwhile president of the National Assembly is also facing charges before the Supreme Court, this time over clearly overpriced no-bid government purchases of rice, beans and lentils, allegedly with kickbacks that went toward funding the Martinelista shower of gifts on the voters. Just an allegation? Can’t prove any intent? Can’t get a witness to a specific agreement that “you get this bag of groceries and in return we get your vote?” Can’t show what Gálvez knew and when he knew it? It’s up to a magistrate appointed as prosecutor to prove the details, but much of this work has been done before other tribunals. 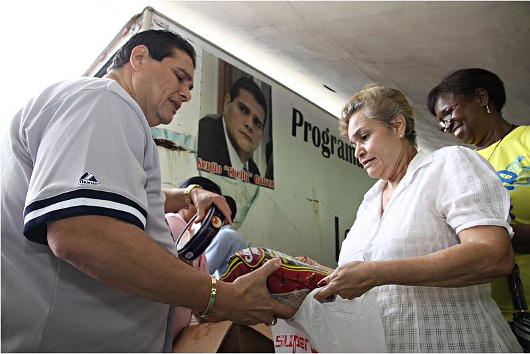 In a by-election for representante in the Tonosi corregimiento of El Bebedero, there was a massive distribution of gifts to voters to buy the election for Martinelli’s candidate. The money for that vote-buying campaign came from a man who got overpriced no-bid highway construction contracts. The Electoral Tribunal held a trial about the matter, determined that in reality it amounted to the use of government funds to sway the electorate and ordered new elections. At the time Gálvez said that El Bebedero was the model of how the 2014 election would be contested, and infamously declared that “He who doesn’t give doesn’t go.” Then the entire nation saw that kind of campaign waved in all of our faces. The nature of what happened was demonstrated in more than a dozen more Electoral Tribunal trials. There are many adjectives properly applied to Sergio Gálvez, but “subtle” is not one of them. In any case, the charges now before the Supreme Court are about one small part of the enormous crime, the legislators’s alleged role in some corrupt purchases. The court should really investigate the context and bring further charges for the larger crime. The infamous 2014 Martinelista campaign went on in large part because Martinelli’s appointee as Electoral Prosecutor, Eduardo Peñaloza, refused to enforce the election laws. He taunted the nation about it. Now a criminal complaint against him for malfeasance in office has been discounted by Attorney General Kenia Porcell. Was the complaint, for some reason or another, technically deficient? Perhaps, but it did have the backing of the nation’s principal bar association, the Colegio Nacional de Abogados. Let us hope that Porcell’s ruling is not the end of the matter. Peñaloza’s role as a key operative in the illegal 2014 Martinelista campaign should not go uninvestigated and unpunished. We can’t have a truly fair election with him in charge of enforcing election laws. We won’t have much respect for our election laws until Panamanians see Peñaloza taken away to jail in handcuffs. The extension of the filibuster power to the point that now a large enough minority in the US Senate can block any measure from even coming before the body in a formal debate is unfortunate, and all the more so because greed and extreme partisanship have a stranglehold on Congress in particular and US politics in general. But the bad system worked well enough when enough senators banded together to block an Israeli government attempt to nullify an agreement that Barack Obama and the leaders of several other major powers made with the government of Iran with respect to nuclear development that could lead to an Iranian nuclear arsenal. Do we hear howls about what an anti-Semitic thing it is to allege such a thing about the government of Israel? The Panama News is on a bunch of Israeli email lists, and the editor reads what they write. He also from time to time peruses Ha’aretz and The Jerusalem Post online. Then there was the online exchange in which an Israeli citizen — and not a US-Israeli dual citizen — chortled that “We control Congress.” Mr. Netanyahu, who wants a war with Iran that would certainly follow on the heels of the Iranian nuclear proliferation agreement’s failure, was told by his own military and intelligence establishment that Israel could not succeed in an attack on Iran, so he tried to browbeat the Americans into partaking of that disaster instead. But a large segment of American Jews, including many of the Jews in Congress, spurned the Israeli government’s appeals. We shall see what the political fallout will bring, both in Washington and Tel Aviv. So a roadblock was interposed along the way to a US war with Iran. It was a victory for peace, to be sure, but do we have peace? 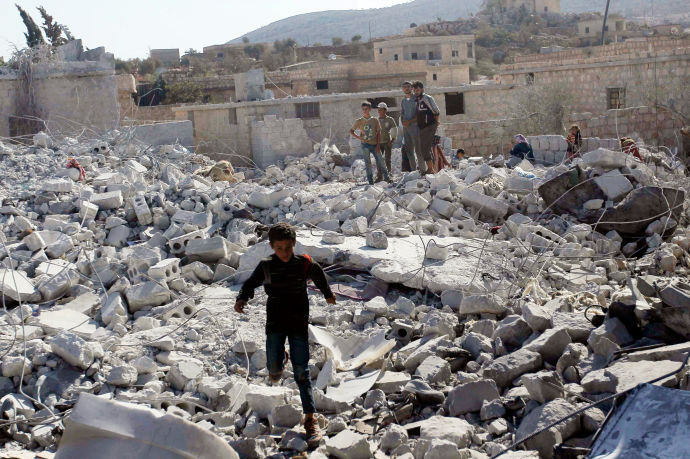 Millions of refugees streaming out of war-torn Syria answer that question. So do the thousands of people killed in the Yemeni civil war, in which the Saudis and other Gulf Arab states are directly intervening with US support. So does the unresolved 14-year war in Afghanistan. Calls from the Republican base to remove the millions of American Muslims, “constitutional theories” that would cancel the citizenship of US-born children of immigrants (except for Donald Trump), and hideous misrepresentions of people fleeing wars as invaders bent on conquest — aren’t these, after all, arguments in favor of provoking new wars? Moreover, when an Australian billionaire who — along with his Saudi partners — likes to play kingmaker in US politics through his media empire slams proposals to rebuild America’s infrastructure, educational system and standard of living as prohibitively expensive, isn’t the unstated number beneath his dubious calculations the cost of the United States fighting never-ending wars all over the planet? War has lost a round in the US Senate. That’s no reason for antiwar voters to stay home and shut up. Some men look at constitutions with sanctimonious reverence and deem them like the ark of the covenant, too sacred to be touched. They ascribe to the men of the preceding age a wisdom more than human, and suppose what they did to be beyond amendment. I knew that age well; I belonged to it, and labored with it. It deserved well of the country. It was very like the present, but without the experience of the present. Let the authority of the people be the only power that exists in the world! And let the name of tyranny itself be erased and forgotten from the language of the nations! If it is the function of the public realm to throw light on the affairs of men by providing a space of appearances in which they can show in deed and word, for better or worse, who they are and what they can do, then darkness has come when this light is extinguished by “credibility gaps” and “invisible government,” by speech that does not disclose what it sweeps under the carpet, by exhortations, moral and otherwise, that under the pretext of upholding old truths, degrade all truth to meaningless triviality.